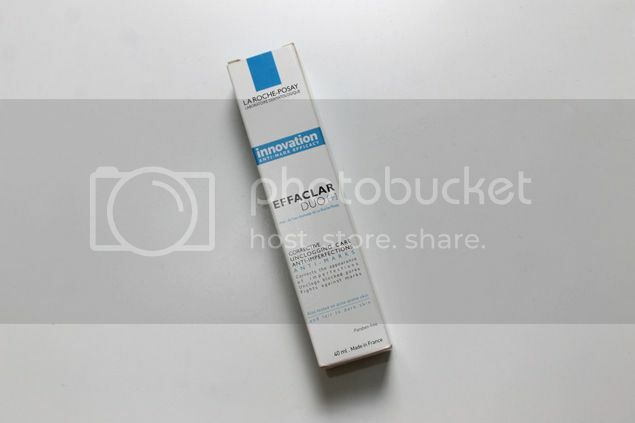 A lot of blemish fighting products have left me disappointed in the past so I tend not to buy into the hype, but as I was over in France a couple of months ago I decided to pick up La Roche-Posay Effaclar Duo + to see what all the fuss was about as it was much cheaper over there and wouldn’t matter as much if it did end up being rubbish. However I actually found that this is one of the best over the counter blemish products I’ve tried in a while! 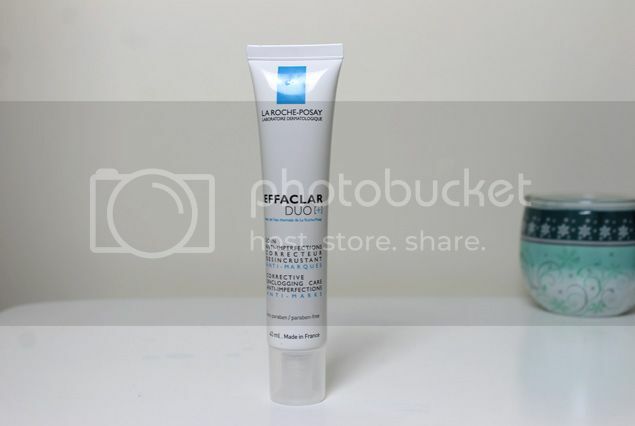 La Roche-Posay Effaclar Duo + is a light cream gel texture that sinks into the skin really quickly and it has a light non-offensive scent. It’s non-comedogenic, contains no parabens and is suitable for sensitive skin. It also fights the appearance of red marks with a new patented ceramide – ProceradTM. In terms of targeting blemishes, I suppose it’s not bad. Any spots I’ve had since using this on a regular basis have gone slightly quicker than when I wasn’t so it is doing it’s bit. However if you are expecting miracle spot-be-gone-overnight you might be a tad disappointed. However, it is really good as a primer, it smooths your skin, sinks in quickly and doesn’t leave a film, so I’ve been skipping the traditional primer most days in favour of this! It’s also fantastic for helping to fade red marks – and this is what I predominantly use it for. I can’t really prevent the occasional cystic spot (although I try my best) but using this on a daily basis has definitely helped 100%. I hadn’t really noticed it was working its magic as it’s subtle, so I was going to dismiss the product as a nice primer and nothing more, but in the last couple of weeks I’ve noticed it’s been so much easier to cover my red marks with foundation and that they are generally fading. Healing red marks is a slow process but La Roche-Posay Effaclar Duo + is speeding it up a little bit and I’m really really impressed with it. I definitely will be picking this up again it has worked wonders with my red marks and it also makes a really good primer. It’s just a little bit depressing it’s so expensive over here in comparison with France.